Lamborghini had a strong week at two major races as it took the Sebring 12-Hour Enduro and the 24 Hours at Daytona. The Sebring win was a nail-biter as the victorious Huracan dove across Turn 1, setting up the 2.7-second victory. The victory was assisted by a long caution as a crashed racer was recovered. This week was especially good for Lamborghini as the automaker was the first Italian marque to finish the “36 Hours of Florida.” Lambo took back-to-back wins in both the Sebring 12-Hour and the Daytona 24-Hour enduro twice. A very nervy move resulted in a 2.7-second win in the GT Daytona (GTD) class win at the 67th Mobil 12 Hours of Sebring by the #11 Grasser Racing Team (GRT) Huracan GT3 of Mirko Bortolotti, Rik Breukers, and Rolf Ineichen. Indeed, the victories deserve special notice as it was the first time the automaker’s entries had posted back-to-back wins on consecutive years. The racing drama was assisted by a late race caution that helped Bartolotti come out on top as the driver made frantic attempts at fuel conservation in the last hour of the race as fellow Huracan driver Andy Lally made a late charge. The new run fell short and let Bortolotti give the GRT its second successive IMSA WeatherTech SportsCar Championship win of the season. Bartolotti’s win was anything but assured from the start. The Huracan he piloted started in fifth place on the grid, and it took him 10 hours to finally build up a healthy lead before Lally, driving the Magnus Racing Huracan, started making his move. Lally made significant inroads after the final pit-stops. As the racers toiled on, they traded positions on successive lap. It took a daring dive in the first corner, a lap after being passed, to retain and consolidate the lead. The fuel-draining duel meant that the Italian had to use some fuel-savings severe tactics to keep the lead. It didn’t hurt that there was a 15-minute caution to recover the stricken #96 Turner Motorsport BMW M6 GT3 of Bill Auberlen. The late caution was just enough to give the #11 Lambo enough breathing space so it could eke out a victory with its last few drops of fuel. It was by no means a huge finishing margin, either, as GRT repeated its 2018 Sebring victory by 2.724 seconds. Lally and teammates Spencer Pumpelly and John Potter claimed the first podium for the new-look, Magnus Racing Lamborghini. It was a well-earned second-place, following closely on the heels of the #11. What makes the second-place effort even more remarkable is that the driving trio qualified in the number nine grid positon. However, they kept the nose of the #44 Huracan clean. Lally’s final stint behind the wheel was the stand-out of the race. They had a real chance until the 15-minute caution slowed things down and gave Bartolotta the hair’s-breadth victory. Stefano Domenicali, chief exec of Automobili Lamborghini, greeted the results enthusiastically. “After an extraordinary 2018, the new year has started in the best possible way. Winning the 12 Hours of Sebring for the second time in a row underlines the indisputable qualities of the Huracan GT3 project. 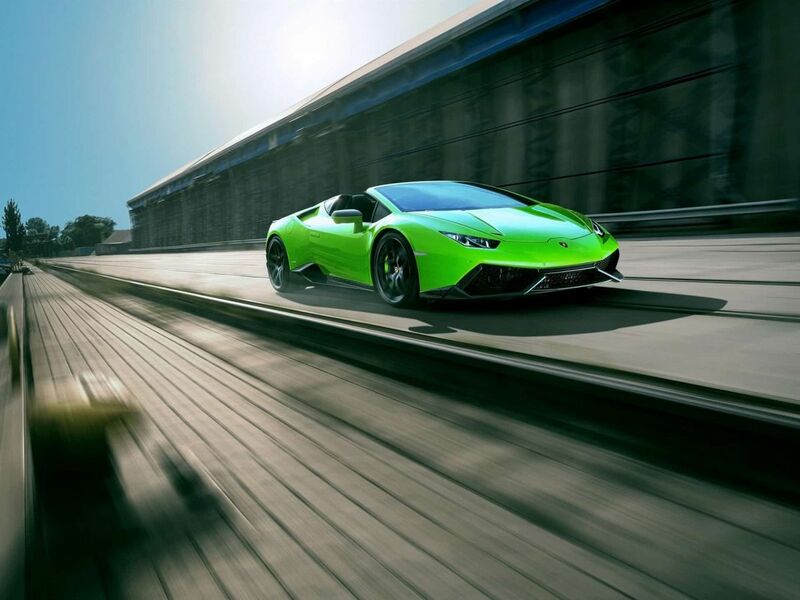 This is a great success for the entire Lamborghini team,” he said.